This study was taught by guest teacher Adrian Hudson at Calvary Chapel’s family service on 28th October 2018. In one sense we will never be able to understand or fathom our great God. How can the finite understand the infinite? Yet in His Word, God has revealed Himself in ways we can understand so that we can get at least a glimpse of the Father-heart of God. 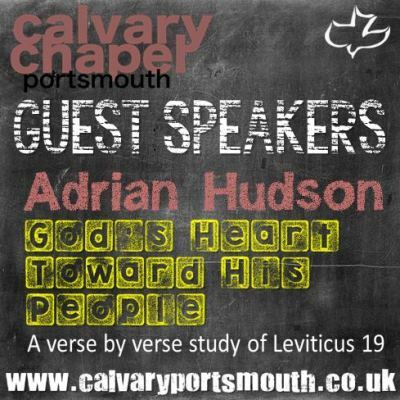 In this message, Bible teacher and expositor Adrain Hudson takes us on a verse-by-verse journey through Leviticus chapter 19 to see the wisdom, love, and compassion of God shown through the Law’s He gave His people. Just as a loving parent sets boundaries for a child to protect them from harm, our loving God had done so for us. May you be blessed, challenged and encouraged by this teaching.